ModuleWorks, the leading supplier of CAD/CAM components for toolpath generation and simulation have confirmed their partnership with HOMAG Group AG, a world leader in the manufacture of CNC machinery for the woodworking industry. About HOMAG Group AG. HOMAG Group is a world-leading supplier of machinery and software for woodworking. No matter what industry and its suppliers, if it is interior fittings or traditional craft shops then the HOMAG Group AG offers a program exactly matched to customers’ requirements for efficient and economical woodworking. About ModuleWorks ModuleWorks is a software component provider for the CAD/CAM industry. ModuleWorks’ expertise in 5-Axis Machining and Simulation is recognized throughout the CAM industry and its software components and development services are used by the majority of the leading CAM vendors. 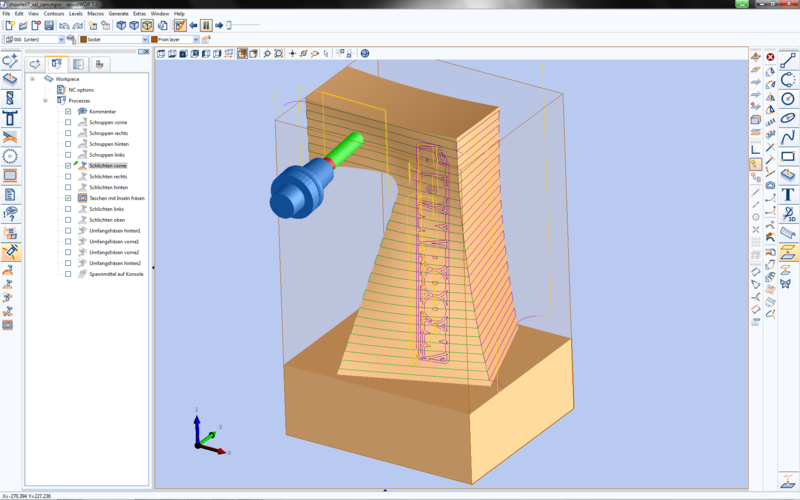 ModuleWorks 5-Axis and Simulation software has been used in the manufacture of complex parts for over a decade and they have many users in the global CAD/CAM industry.